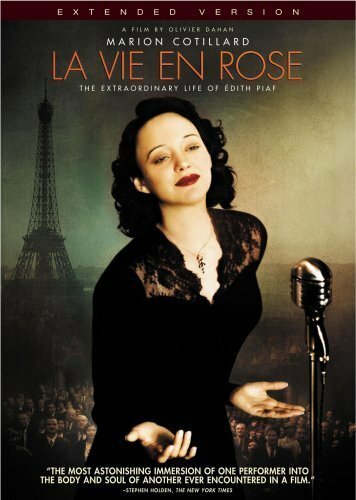 La Vie en Rose is a French biopic of Edith Piaf, who was a singer and is regarded as one of the greatest international voices of the 20th century. Similar to Ray, Walk the Line, and other American films of singers, Rose shows Piaf's troubled childhood, a rise to stardom, and an early, tragic death. The film jumps around in Piaf's life, so at times it's a little difficult to know exactly where you're at in Piaf's life. However, the performance of Marion Cotillard as Piaf is amazing. She embodies the character so strongly that she pulls you in, even though the whole movie is in French. No posts have been made on this movie yet. Be the first to start talking about vie en rose, La ( môme, La )!